Yes! I want more news and awesome tips. Are you travelling to Brazil? Whether on business or pleasure you’ll want to make that you go with a VPN. This is important not only to secure all of your smartphone/tablet/laptop when connected with public or hotel wifi, but also to bypass censorship and access geo blocked stuff like Netflix. In 2016, the country banned ‘WhatsApp’ on three separate occasions over cybercrime disagreements with social media ‘giant’ Facebook. The government has since rescinded the ban, but all it takes is one flare up and they can resume censoring the internet. There are other online restrictions and Brazilians are silently suffering. There is no need to stress about these restrictions though, for there is a service called a Virtual Private Network, also referred to as a VPN. Having a VPN is not only fast, safe and reliable, it also enables you to bypass these limits with ease. Now, if you’ve not found one, or this is your first time ever hearing the letters V-P-N, there’s no reason for you to panic. We’ve done all the work for you! After extensive tests, we’ve come up with the top five VPNs for you to choose from. Out of all the VPNs we’ve tested in Brazil, ExpressVPN is the only service we’ve found to have a help and support system written in Portuguese. This feature is quite helpful for the native Portuguese speakers in Brazil. 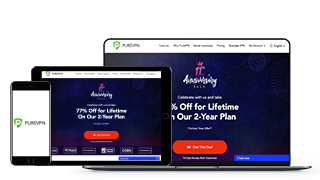 ExpressVPN will also assist you to keep your data secure and private by using a 256-bit AES military-grade security encryption and a kill switch to protect you from DNS leaks. Lastly, this VPN doesn’t keep records of your internet activities or share them with third-party entities. Try this VPN out and enjoy the rich opportunities it provides. 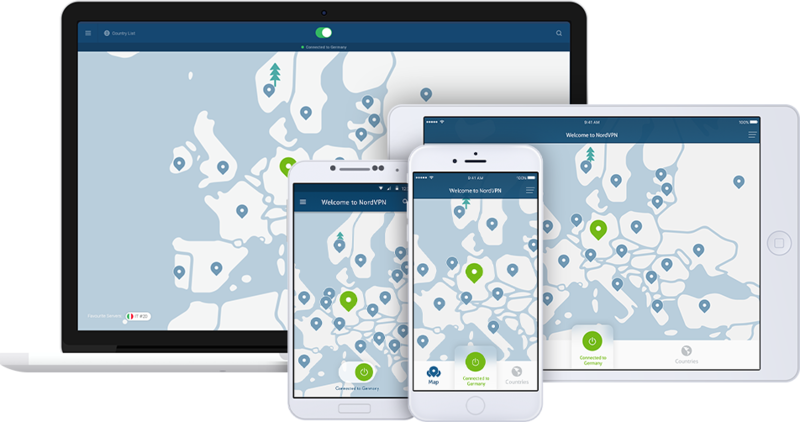 If you’re not sure about making a long-term investment, take advantage of NordVPN’s 30-day free trial feature and still enjoy loads of Internet services while in Brazil. With its headquarters in Romania, CyberGhost will provide you with access to over 1200 servers in more than 50 countries, including three of them in Brazil. CyberGhost is focused on helping all its users to access geo-blocked content with perfect execution. All you have to do is go into the client, choose the channel you want to view and select any of the Brazil servers. With CyberGhost you can also access networks like BBC iPlayer, Amazon Prime, and US Netflix. With CyberGhost, they take privacy and security quite seriously with a strict no logging policy. It uses a strong 256-bit AES encryption and has an automatic kill switch. CyberGhost also has multiple connection systems which allows you to use it on 5 different devices at the same time! Here’s a VPN that continues to take the world of internet by storm. Within just a few years, PureVPN has grown into one of the best international VPNs. With it, you’re assured top-notch services at favorable prices. It has more than 2000+ servers in over 140 countries including two premium servers located in Brazil. The software works exceptional, having detailed tutorials makes the VPN ideal for those of you who are first time VPN users. PureVPN uses robust encryption protocols including OpenVPN, SSTP, and L2TP/IPSec. Most importantly, it does not keep records of any user data! With a 31-day money back guarantee, it won’t hurt to try them out. More than 700 servers in 70+ locations worldwide. Privately owned network, servers, and hardware. No third parties involved! What makes this VPN stand out? Well, since its headquarters are in the US, you can access its United States servers. This will allow you to catch your favorite American TV shows as you relax in a hotel in Brazil. Pretty cool right? Choosing the right VPN not only gets you through blocked content but, it also enhances your level of security. Remember that all top VPN service providers offer stable end-to-end encryptions effectively ‘hiding’ your internet activities from the eyes of the public. A good example is if you’re outside Brazil and you want to access Globosat Play, an online streaming company that only offers its services within Brazil. So, as an ‘outsider’ you can’t watch any of its shows. But, by using a VPN, you can change your IP address to a Brazilian one helping you to stream or download your favorite shows with ease and safety! The Government in Brazil continues to increase its strictness when it comes to internet regulation. It not only affects those living in Brazil, but also those of you that like to travel to Brazil and who wish to watch some of their local shows even when not physically in Brazil. 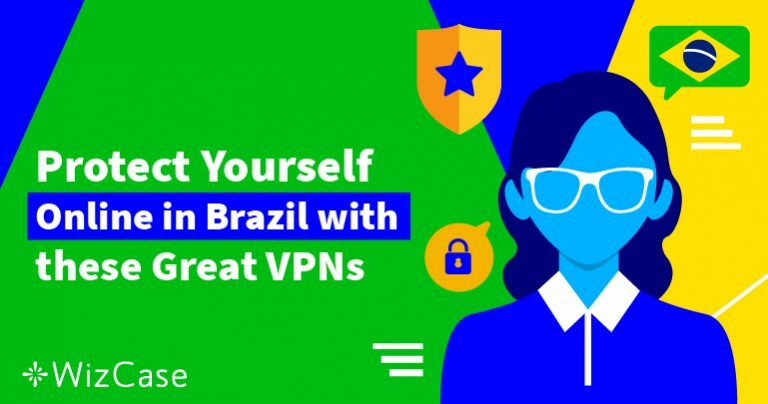 From all the VPNs that we have tested, we discovered that while all the other services were fast and efficient, ExpressVPN was the only VPN provider that had clear Portuguese help and a support page making it our most recommended VPN service to choose from for Brazil. The VPNs above also come with either a free trial or a money back guarantee, meaning depending on the length of your trip you could enjoy all these features for free. Of course, we recommend using a VPN even while at home for anonymity, privacy, security and more. Valentine Milner is an expert writer with experience in Cyber Security. She started out working for a private company before venturing out on her own. Support WizCase: Help us guarantee honest and unbiased advice and share our site to support us. Not in Sao Paulo See the Brazilian Grand Prix Live Online Anywhere!